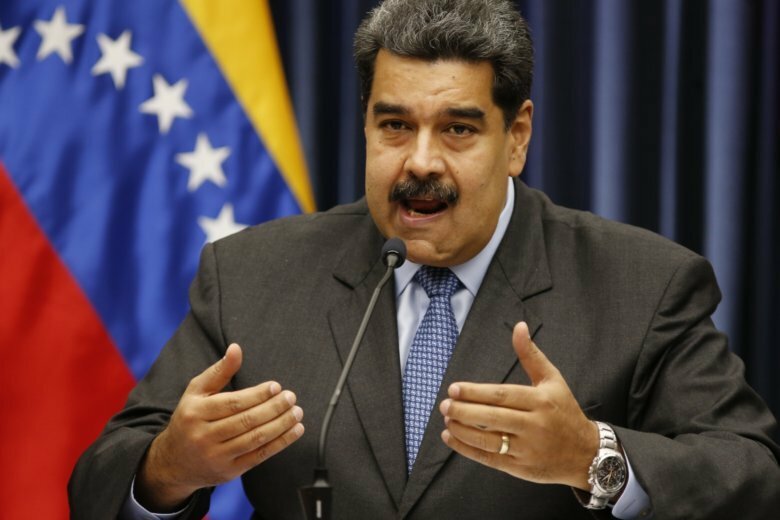 CARACAS, Venezuela (AP) — Venezuela’s government said Monday that diplomats from three Latin American countries may have played a role in an attempt to assassinate President Nicolas Maduro, and it demanded the foreign governments investigate. Two drones loaded with explosives exploded nearby as Maduro spoke at an outdoor military ceremony on Aug. 4. Maduro was unhurt, but Venezuelan officials say the incident was an attempt to kill him. Maduro spoke in a nationally televised round table meeting with his Cabinet ministers, calling for the United Nations to conduct an independent investigation into the incident. “Venezuelans have the right to live in peace, despite all the differences and problems we have,” he said. Officials on Sunday announced the arrest of three more suspects, adding to more than a dozen already jailed, including an opposition lawmaker. Officials also seek the arrest of senior opposition lawmaker Julio Borges, who lives under self-imposed exile in Colombia. Colombian President Ivan Duque, an outspoken critic of Maduro, said Monday that his country will never turn over Borges to Venezuela. “We are not going to extradite a persecuted politician only to have his human rights abused by a dictator,” Duque said. Rodriguez said that one suspect’s confession implicates the Chilean Embassy, and several others have confessed to being trained across the border in Colombia. The heightened tensions come amid a historic political and economic crisis that has many Venezuelans struggling to afford scarce food and medicine. Masses are fleeing into neighboring countries, threatening to destabilize the region. “The Embassy of Colombia and the 15 consulates accredited in the sister nation have no other interest than working in coordination for the assistance and protection of our nationals,” Colombia said in a statement, adding concern that such statements threaten the security of its diplomat in Venezuela.